This is part 1 of the ‘how to apply eyeliner’ series of posts by Zuri. Today, we cover types of eyeliners available in the market. A lot of you have asked me to write about how to apply eyeliner. Since this requires understanding of eyeliners, styles, and how-to techniques, I have decided to break it into 4 parts, covering everything about eyeliners. So stay tuned. The first thing that comes in our minds when we think of getting all dressed up is doing up the eyes! Even when I was learning about makeup, one of the first things I tried to perfect was how to apply eyeliner. Even if one does not feel like wearing eye shadow, they would not like skipping the eyeliner. I feel, this is the most difficult to apply, as one needs a steady hand. One day I will write a detailed tutorial on how to apply liquid eyeliner properly – meanwhile you can see my how to apply kajal post for some tips – and more here. This video should go a long way in explaining how to apply eyeliner perfectly. Go for a liner that comes with a thin, fine-point or a felt-tip brush for great results! If you make a mistake, wait for it to dry, slide an ear bud or a cotton swab dipped in makeup remover over the liner. Liquid eyeliner is best for a dramatic & bold look. Once you’ve mastered the art of application, liquid eyeliner may become your preferred type of eyeliner. Liquid eyeliner will wear well, the strong line staying in place throughout the day. Make sure to open your eyes slowly as liquid eyeliner takes a few minutes to dry. This has a tendency to smudge, unless you find a really good one that isn’t too creamy. Opt for a pencil that requires sharpening rather than a retractable pencil because you’ll need a pointed tip to draw a fine line. The best eyeliner tip any professional can give you is to apply a small amount of eye shadow or pressed powder over the pencil to help keep it from smudging. Pencil eyeliners tend to have the shortest wear time, so applying powder over it will surely make it stay on longer. This would need to be applied with a small, fine-tip pointed or angular brush to get utmost precision. Also powder shadow allows you to play around with the shape of liner you want to achieve – by giving it a much softer look. 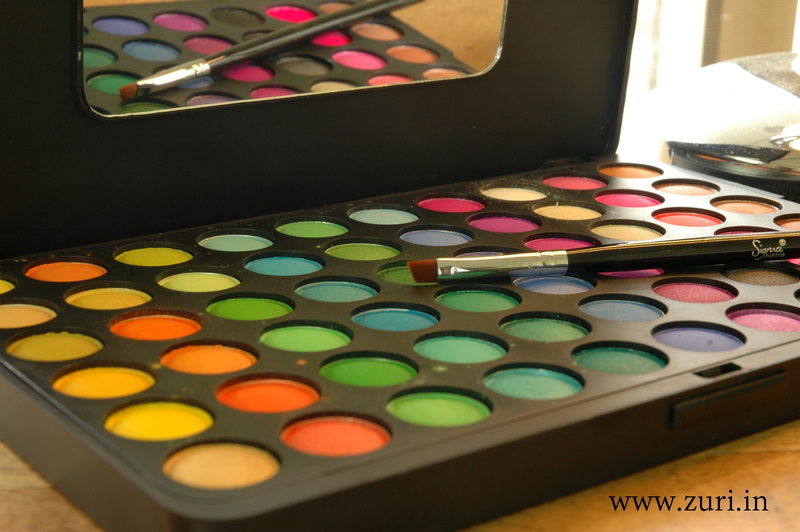 Powder shadow can be used wet (by spraying some water on the brush & then dipping the brush in shadow) or dry. Tap off excess powder from the brush before lining to avoid fall outs below your eyes or on cheeks. This offer superb smooth application & intense color payoff. The only problem is that you have to wash the brush after every use as the bristles tend to harden & you will not be able to use the same brush after one application. They are great for anyone with oily eyelids as they don’t smudge very easily. Professional makeup artists swear by gel eyeliners especially when they are doing long hours of shoots & bridals as gel liners are mostly water proof.